The 2000 Master Plan was developed in conjunction with ongoing new building construction / renovation at the campus. 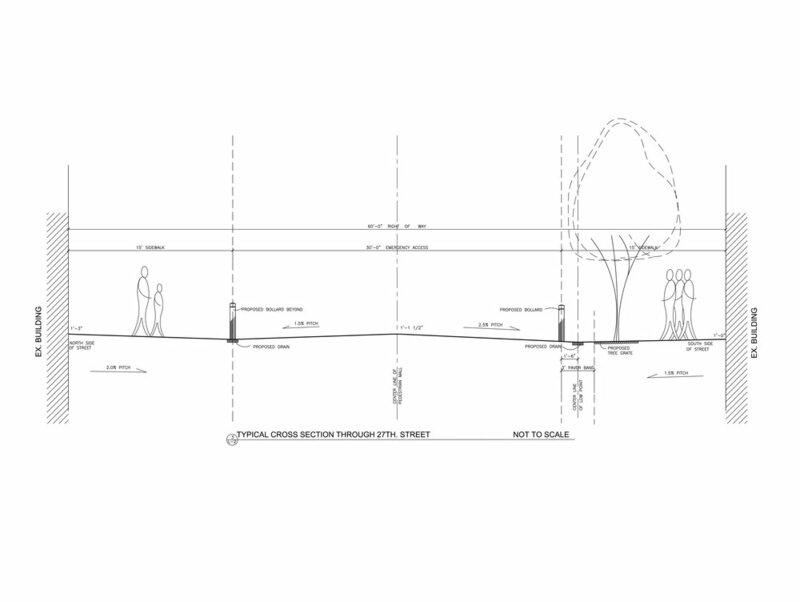 The plan envisioned closure to 27th Street and an overall streetscape / landscape / site / utility comprehensive plan to unite the entire block. The end goal was to provide a campus center for students and faculty which still permitted emergency access in response to comments by FDNY and NYC DOT.